The Hindu celebration of Diwali (the festival of lights), takes place over five days between mid-October and mid-November. It commemorates the triumphant return of Lord Rama from his victory over the demon-king Ravana, so lamps, candles and firecrackers are lit in celebration. 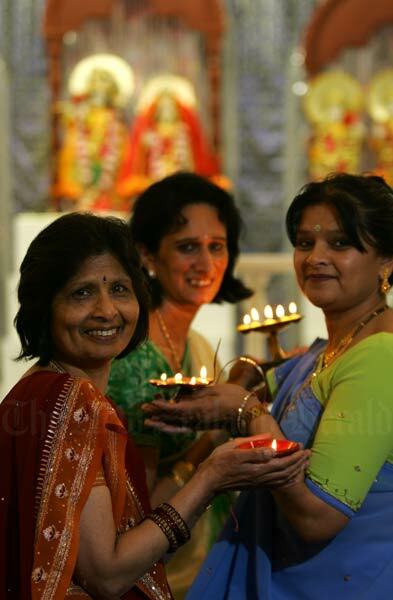 Here (left to right) Puspa Lekinwala, Parvati Kalidas and Champa Patel hold candles at the Auckland Indian Association's Sri Radha Krishna temple in October 2005.